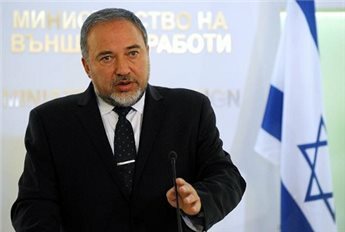 Israel’s Shin Bet security service revealed, Thursday, that security forces had apprehended a Hamas-affiliated group in the West Bank who planned to assassinate far-right Israeli Foreign Minister Avigdor Lieberman.According to AFP, the service said that three suspects in custody ‘collected advance intelligence on the minister’s convoy,’ on its journeys to and from his home in the West Bank settlement of Nokdim and sought to procure an RPG launcher with which to target his vehicle. Shin Bet additionally stated that Ibrahim el-Zir, Ziad el-Zir and Adnas Tzabih, all from the West Bank village of Harmala, near the illegal settlement, were arrested in operations by the agency, the army and the police. It said that ‘in recent days’ the suspects were charged in a West Bank Israeli military court with conspiracy to commit murder and conspiracy to traffic in weapons. Born in Moldova, Lieberman is one of the only foreign ministers in the world who does not live in territory officially recognized as his own country, AFP reports.